Last weekend I went to another Startup Weekend event. 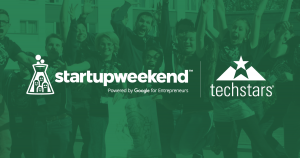 This is the awesome 54-hour (Friday to Sunday) event sponsored by TechStars that takes teams from initial rough idea to building a team then finishes with pitches in front of investors. Over the years I have mentored teams or judged the final pitches at five Startup Weekend events. Startup weekend is a great way to meet other entrepreneurs, work with mentors, test ideas, and get in front of potential investors. But what could possibly be missing? 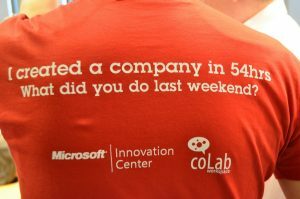 Of the 75+ Startup Weekend teams I have seen there was no one over the age of forty-five. Most are under 25 years old. There could be a few reasons for this but I think the main reason is that more experienced people in their forties and fifties probably are not comfortable on a team of people possibly younger than their own children. These experienced executives may be doomed to spending time with people who really don’t know much about business. Sure, these twenty-somethings can probably whip together a nice PowerPoint presentation but how could they ever run a business as well as some who has been in the trenches for twenty plus years? Does anybody else beside me think it might be time to run a Startup Weekend exclusively for people over forty-five? Why should the young have all the Startup fun?